Aside from winning a Nobel Peace Prize (preferably in Economics) and finally beating Tony Hawk's Pro Skater 2 on hard mode, the only thing I truly desire in life is to own a pizza shop. And now, thanks to the consuming wormhole of e-commerce that is Craig's List, I -- or you, or anyone really -- can own a legit NYC pizza shop. For a cool 65K you can buy the place outright. Or, you can rent the spot for $2,000 a month. Which is... actually a pretty solid deal if you consider many New Yorker's pay more than that to live in a closet where the toilet is on the ceiling, your landlord is a professional slumlord and amateur electrician, and at least two of your roommates own a potentially illegal number of ferrets. Busy pizza shop on LES for sale by owner for the discounted price of 65K. Unlimited potential, great location, rent is only 2000$ on a 10 year lease!!! Hospital, and 3 middle schools near by. Opened since January 2018 , it is making more and more money each week without seamless, grubhub or any online activity. For the right person, this will be a golden pot!!! Potential of 12-15K net monthly easily!! Reason for selling is because I am pursuing another venture, and don't have time to dedicate to it. With some Internet sleuthing and a little help from the images attached to the ad, I can assume with some confidence the shop in question is Madison Street Pizza on Manhattan's Lower East Side, on Madison St (not to be confused with Madison Ave) and Jefferson Street. It has two help reviews, both highly positive. Also, it's located near not two, but three middle schools, which feature children at prime pizza eating age. And there's a nearby hospital nearby, too. Meaning throngs of hospital visitors will have the option of picking up a $2 slice to bring to their ailing friends and family members. Running a restaurant is obviously an arduous, demanding, and often doomed venture. But listen, more than 3 billion pizzas were sold last year alone. 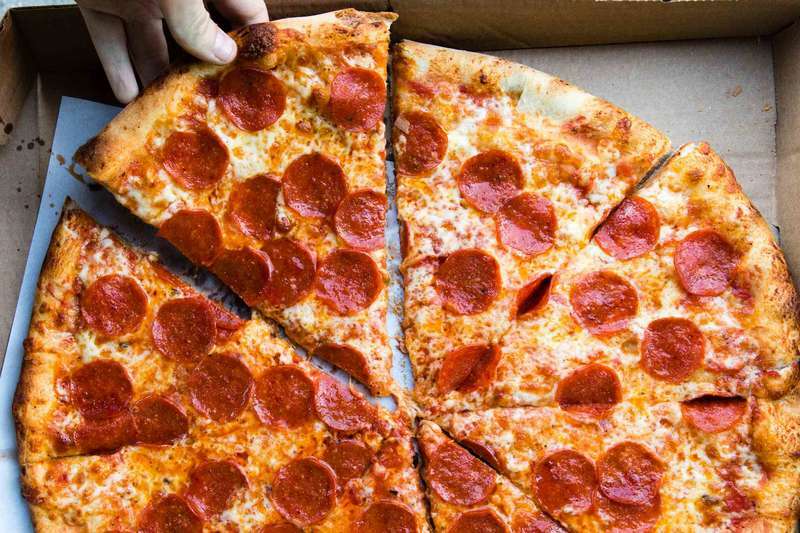 Isn't it time you make like George Jefferson, and finally get a piece of that (pizza) pie? Anyone that wants to go in on this place with me, email Wil@Thrillist.com. I'm only $1950 per month short, as of publication time. I look forward to potentially working with you, and I certainly wish Darko the best in all his future endeavors.